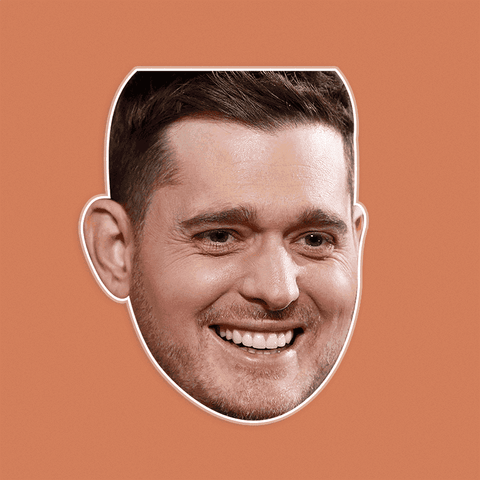 Backstory: Michael Bublé is loved across the world! He’s Canadian and Italian, and he’s recognized as accomplished in the UK, US, and even Australia! This crooner has a lot of Crazy Love to offer! All he wants is To Be Loved. This Grammy-winner said It’s Time for him to be successful, and so he got 4 Grammys and multiple Juno Awards. He’s also familiar with the top of the US “Billboard” 200, “Billboard’s” Top Jazz Albums chart, the Canadian Albums Chart, the Australian ARIA Albums Chart, the UK Albums Chart, and other European charts. As of a few years ago, he’s sold over 55 million albums worldwide. Talk about a popularity contest! 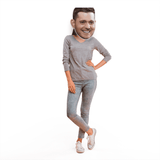 🤩DON’T JUST WEAR THE CELEBRITY, BECOME THE CELEBRITY - Michael Bublé is famous worldwide. Look like this Canadian-Italian singer-songwriter at parties, concerts, and Halloween.